E Cigarette Empire has great news for those who use the GNOME tank that comes with the brand new Reuleaux Gen3 Kit! We now carry the brand new Wismec WM03 Triple .2ohm Coil Head so you can keep a fresh coil in your GNOME tank at all times possible. These coils feature a triple coil technology which produces extreme clouds with massive flavoring. The cotton that the Wismec WM03 Triple .2ohm Coil Head uses is an organic japanese cotton. This means that your coils will last extra long without getting gunked up and burnt out. The .2ohm reading makes the wattage range very large. These bad boys can be fired up anywhere from 40 watts all the way to 130 watts. These coils do run best between 70 watts and 90 watts. 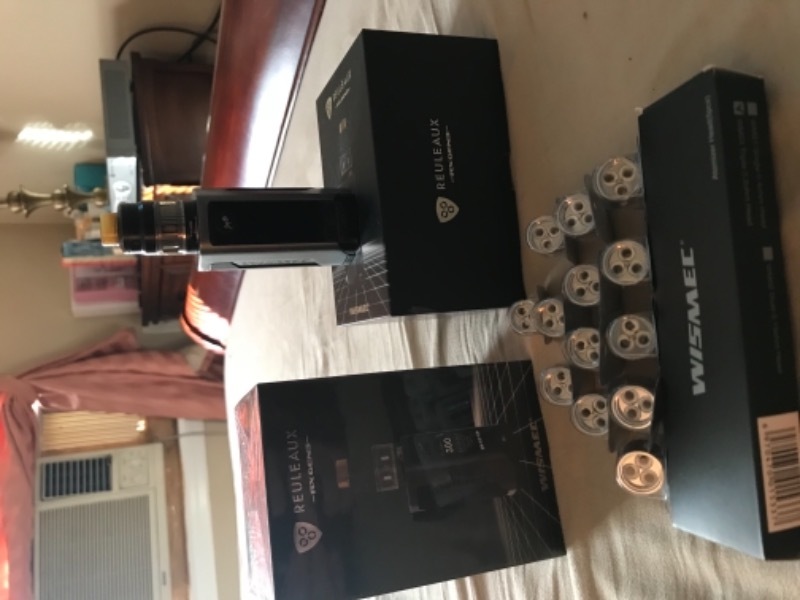 E Cigarette Empire also offers the Wismec WM03 Triple .2ohm Coil Head in packs of 5 so you can have multiple fresh coils on you at all times so their is no downtime when it comes to heavy vaping. If you use a GNOME tank then these premium coils by Wismec are a MUST! So what are you waiting for? Use e cig for all my vape needs. Great customer service. Fast delivery. Awesome pricing. I was always a fan of crown 3 coils and tank. I didn’t think I’d find an equally good experience by switching brands,well I was wrong,the wismec reuleaux gen 3 with the gnome tank measures up. I like the triple head coils at 70 watts, supreme flavor and the coils actually last...I’ll continue to buy. You people run a great business. Please continue!!! !